Clinical staff at an Aberdeen opticians brought some winter cheer to the city’s homeless with a drop-in event that allowed 16 people to have a full sight test and free pairs of glasses as neccessary. Twelve staff members at Specsavers in Union Street volunteered on the 18th to welcome some of the city’s most vulnerable into the store. Nearly 20 pairs of complimentary specs were made up within an hour of the eye test, and while they waited, the attendees were invited to enjoy refreshments. Hot drinks were served thanks to Starbucks, while sandwiches, chocolate, crisps and water were kindly donated by Pret A Manger. Specsavers organised the event in tandem with homeless charities Integrate Scotland, Aberdeen Cyrenians, and Aberdeen Samaritans. 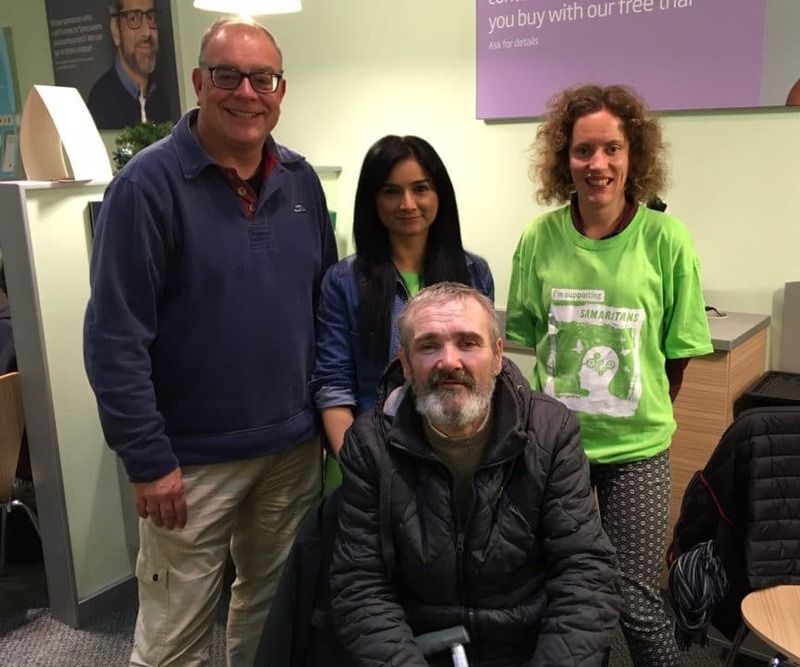 Store director at Specsavers Aberdeen, Dave McGinty, says: ‘We were very pleased how many people came to our event, but ultimately, to have the opportunity of giving free glasses to people who happened to be homeless. ‘It’s hugely important to us that we give something back to the community in which we work, particularly at this time of year, and we believe that the free glasses will continue to positively impact the lives of our attendees. A spokesperson for Integrate Scotland says: ‘We want to say a huge thank you to all the Specsavers staff for firstly coming up with the idea and, secondly, for following it through. You treated all our guests with the same respect as your regular customers.